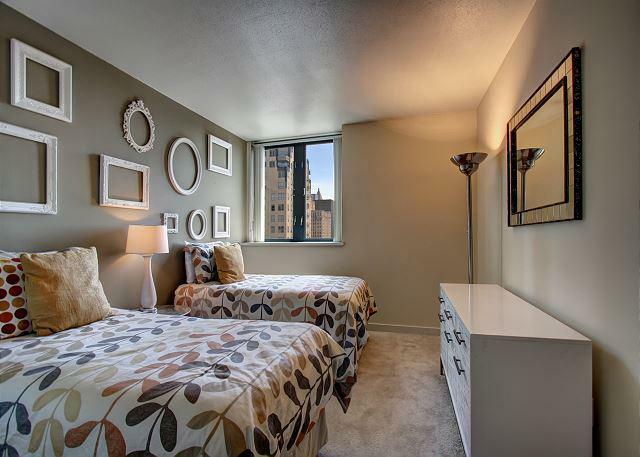 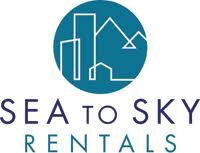 Choose Sea to Sky Rentals for the quintessential Seattle vacation! 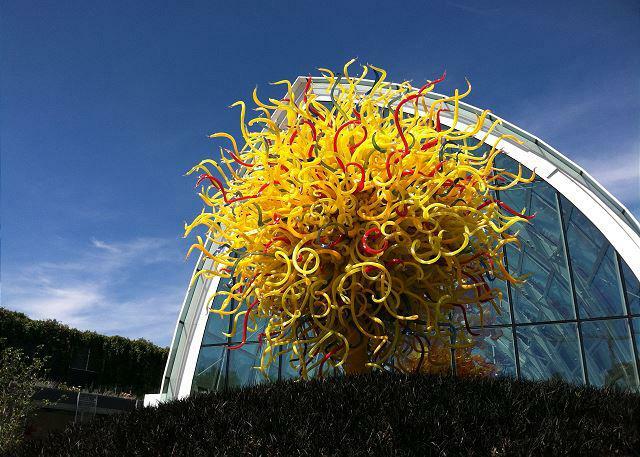 Chihuly Gardens of Glass is one of the many museums at the Seattle Center. 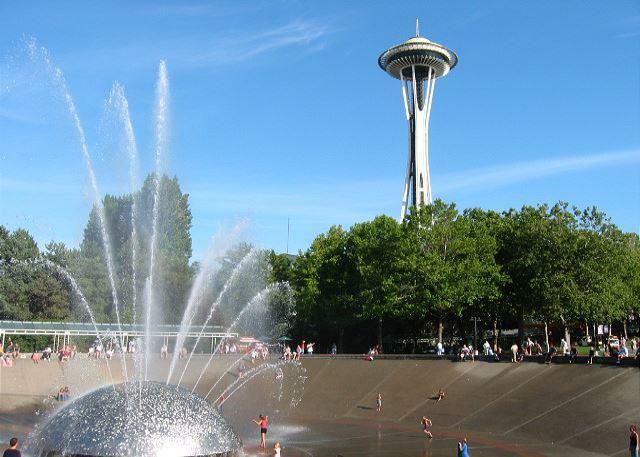 Seattle Center is a short trip away. 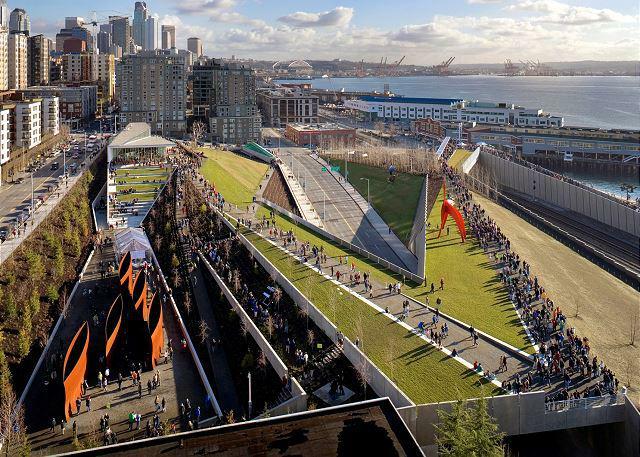 The Sculpture Garden is worth a walk up the waterfront. 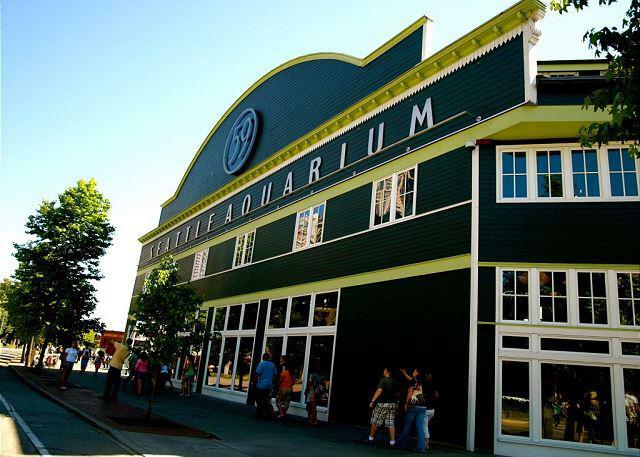 Seattle Aquarium is fun for the whole family. 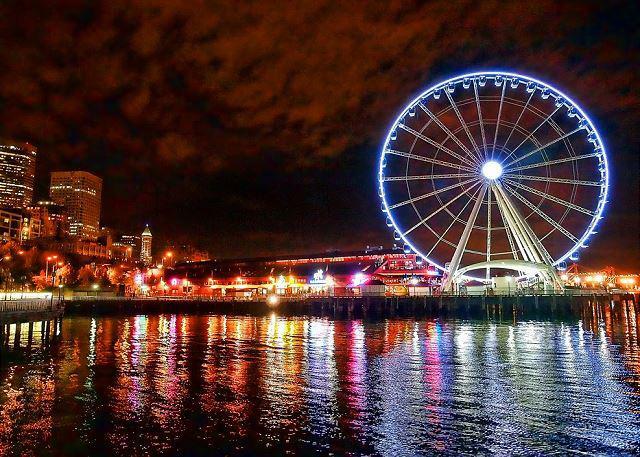 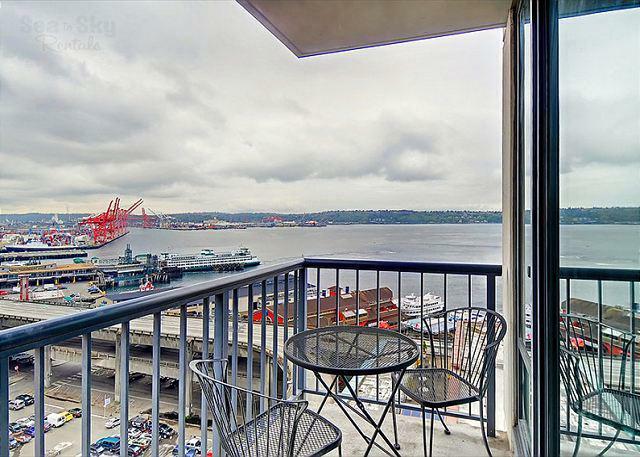 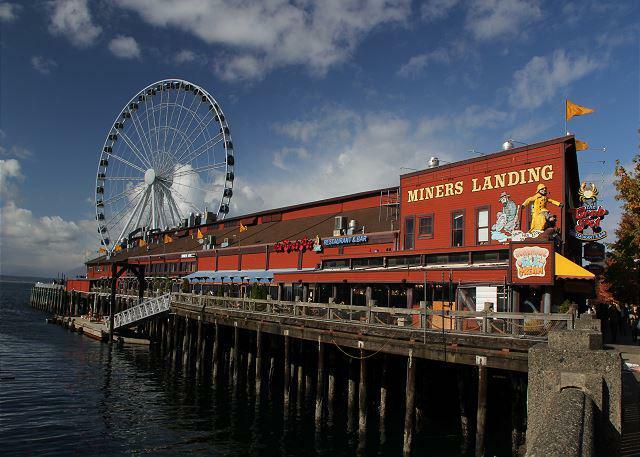 The Harbor Steps take you right down to the waterfront and the Seattle Great Wheel. 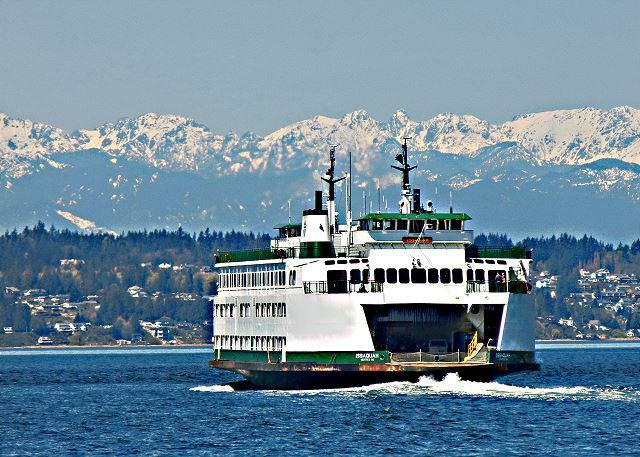 Watch the ferries cross Puget Sound from your windows. 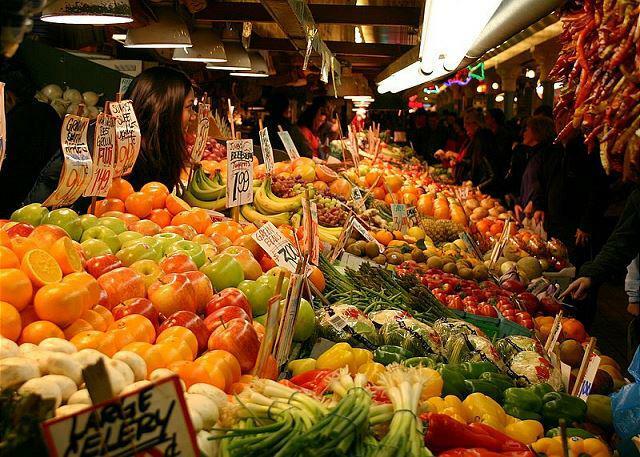 Fresh produce and flowers are just 2 blocks away at Pike Place. 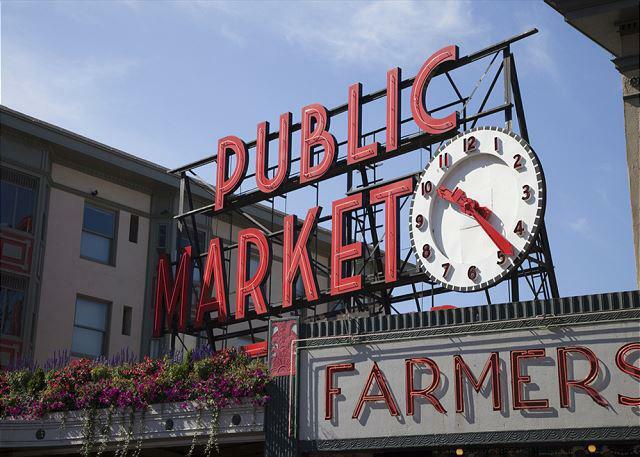 Pike Place Market is a must to visit. 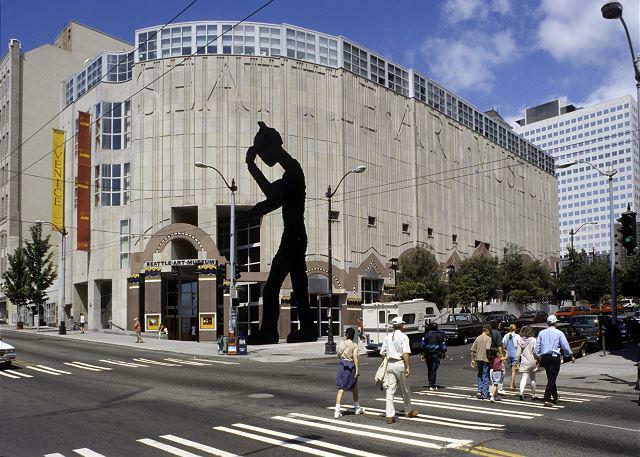 Seattle Art Museum is just across the street. 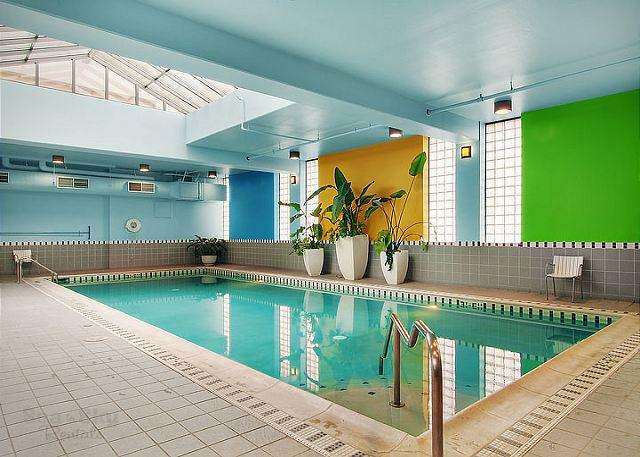 Pool, hot tub, and sauna! 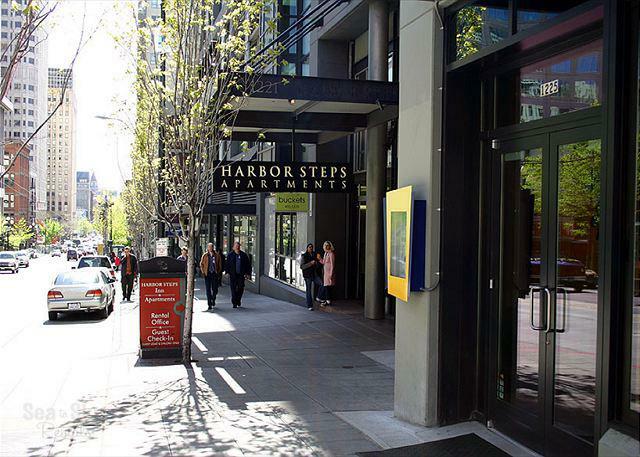 The secure building entrance off 1st Avenue. 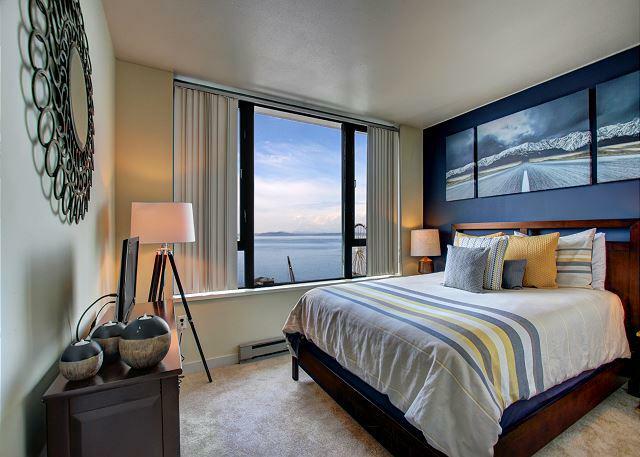 Twin beds can be made into a king on request. 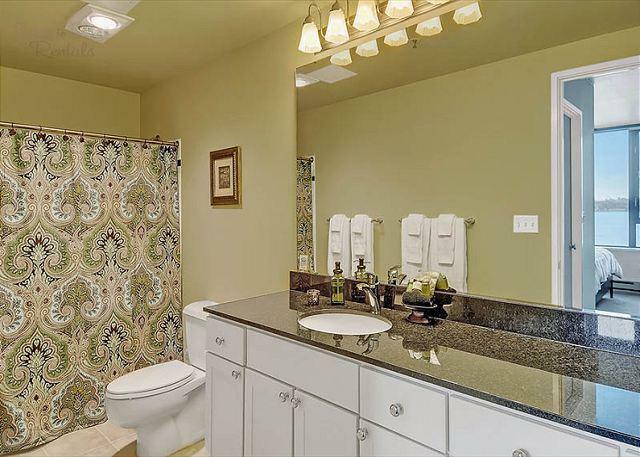 Newly remodeled with granite countertops, new floor and new fixtures. 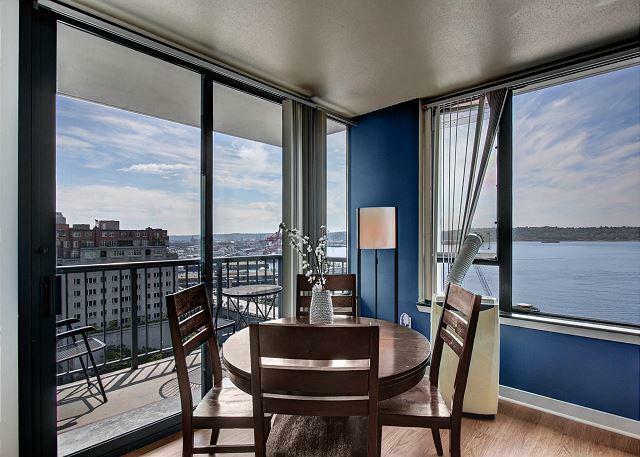 Balcony on dining room with city and water views! 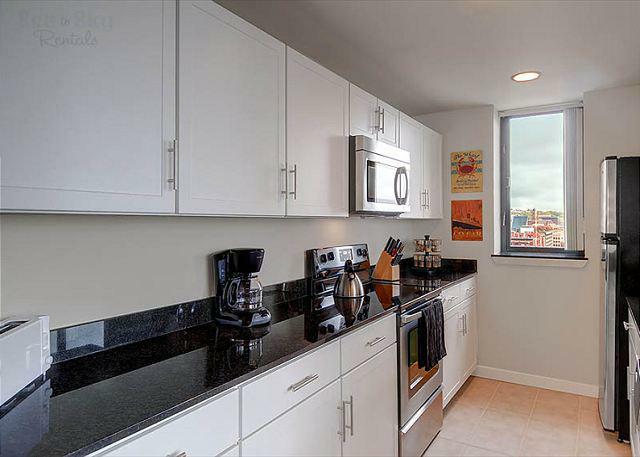 Open floor plan allows you to enjoy the view from the kitchen! 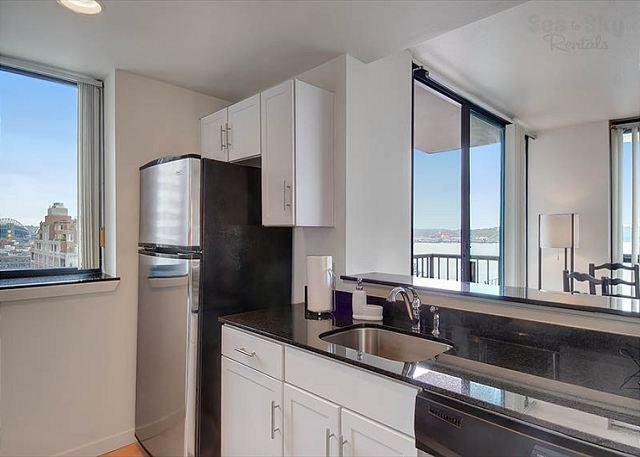 Recently remodeled kitchen with brand new floors, granite countertops and new appliances! 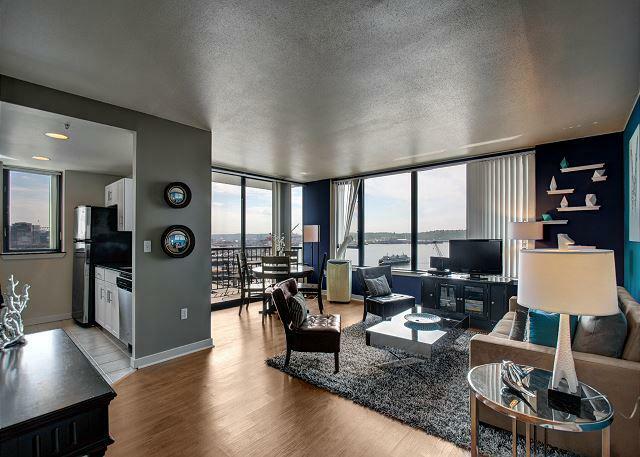 Views greet you the instant you walk in the door. 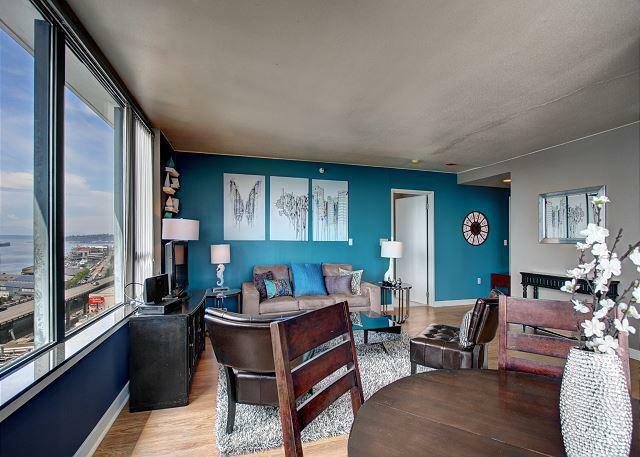 Sunny and bright dining area seats up to 6! 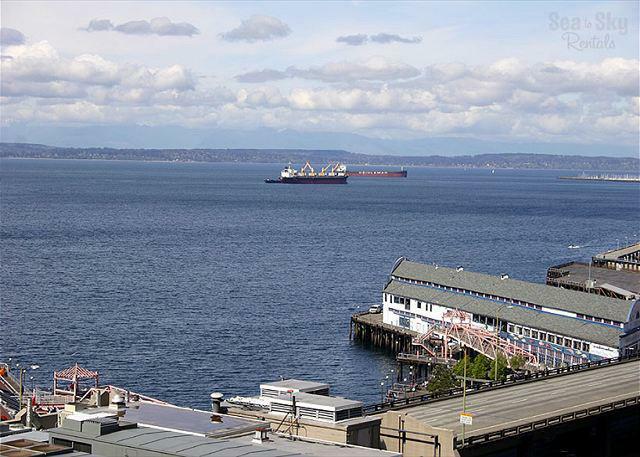 Stunning paranoramic water view from the Sound View Suite! 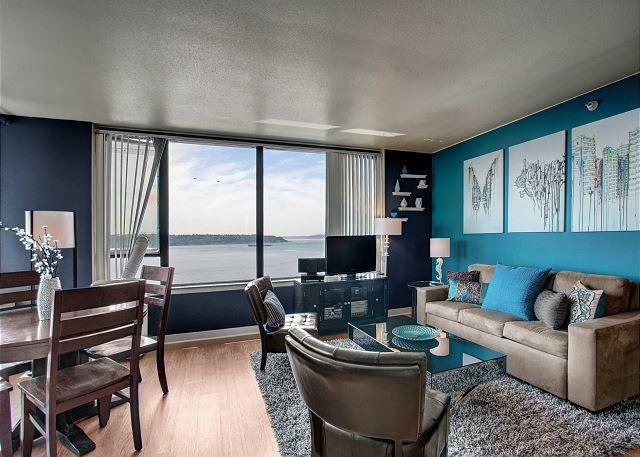 Open living space with water views.